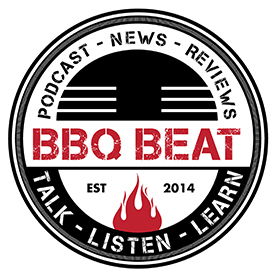 Thanks for checking out this BBQ Beat Podcast session featuring a long and rewarding conversation I had with Randall Bowman of Deep South Smokers. 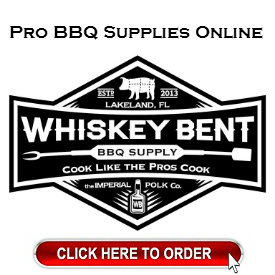 I met up with Randall at this year’s When Pigs Fly South KCBS competition in Lakeland, FL. We talked for quite a bit, and I found him to be genuine and welcoming – a true ambassador of all that’s great about competition BBQ. One of the coolest parts about what I do here at the BBQ Beat is when I get to meet with and forge relationships with amazing people. 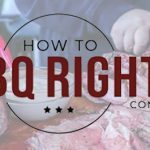 When I started to plan out this podcast session with Randall, I knew that he had a solid reputation among some of the biggest and most well-respected folks in competition BBQ. 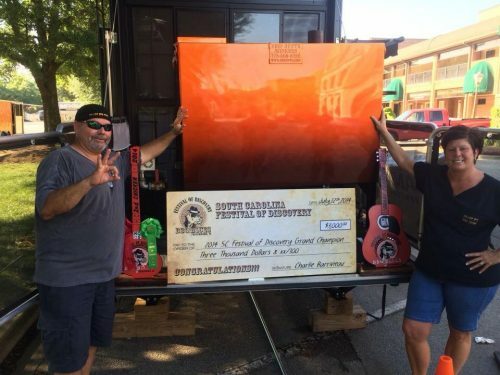 So, I reached out to Jim Burg of Killer B’s BBQ, Rub Bagby of Swamp Boys BBQ, and Heath Riles of Victory Lane BBQ. I’ve known Randall for several years and started on Deep South smokers back in 2014. In my opinion they are the most insulated, well built and have the best heat distribution of any other gravity fed smoker on the market!!!! Hands down the best with a great paint job to boot. 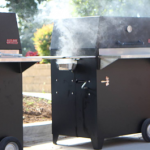 We’ve won several GC’s and RGC’s using his smokers. 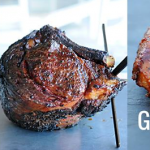 His smokers have all the qualities Pitmasters look for, and they’re very easy to use. They make a beginner look like a seasoned pro and make the pros look even better. They are definitely a set it and forget type smoker to where you can get plenty of sleep while cooking. I won’t ever own another brand and Randall stands behind them 100%. I have competed on no less than six different major brands of smokers over the past 12 years. 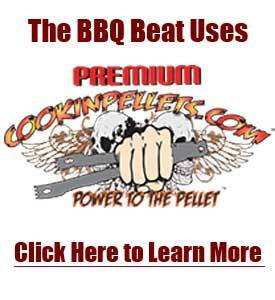 They have included stick burners, pellet cookers, bullet smokers, charcoal maze cabinets, and gravity feeds. I’ve cooked on a Deep South Smoker for the past two years now. I can say that Randall’s smokers lead the pack and set the bar for all the other smoker builders. His DSS are THE most consistent smokers I have ever used. The temperature is typically within 5-7° anywhere inside the pit. That’s virtually unheard of in smokers. That equates to more usable space, as well as consistent results every single time. And consistency is what it takes to win. Randall Bowman seems to live and breathe barbecue. He’s arguably one of the hardest working men in the business. When he’s not designing and welding up pits in his shop, he’s out organizing some of the best contests in the country. I’ve had a relationship with Randall for several years now. He is one of the most stand up guys I know, and he is equally as passionate about BBQ as I am. His passion for pit building is a grade above the competition. I am proud to cook on a Deep South Smoker and can’t wait to test some of the new models he has coming out! I love the quality, craftsmanship, and detail he puts into each one. The same goes for the contests that he organizes, no stone goes unturned. Personally I can’t wait to see what the future holds for Randall. I am proud to call him a friend!! Randall was really generous with his time, and we talked for a little over an hour. We spoke at length about the work he does with Deep South Smokers. If you’re into “smoker science” – this is the session for you. 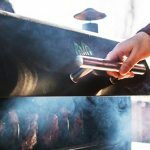 Randall does a great job of covering how gravity feed smokers work, what makes Deep South Smokers so popular among competition pitmasters, the work he continues to do in refining and making them better all the time, and the way his operation has grown to encompass a world-wide customer base. 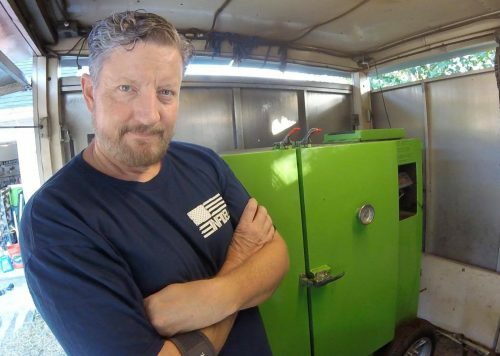 We also discuss the work Randall has been doing over the years as a contest organizer with the National BBQ Cup series as well as the World Food Championships. 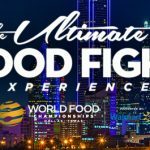 Special mention is made here of the work that fellow organizer Arlie Bragg and World Food Championships head honcho – Mike McCloud, President and CEO of MMA Creative – do to ensure the WFC events are expertly run. 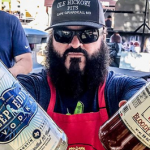 Lastly, Randall provides some insight into the ways competition BBQ is starting to expand in terms of the types of cooking events and the audiences these different events bring to the table. 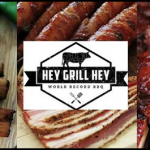 We discuss the work being done by the Steak Cookoff Association, as well as the Guinea Pig events put on by Sterling Ball of Big Poppa Smokers. All of these events are examples of those designed to infuse new competitors into the mix and keep things growing as the years progress. 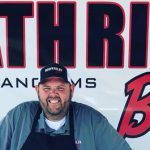 [spp-timestamp time=”1:35″] Randall talks about background in barbecue, his early competition efforts, and the origins of his Deep South Smokers line. He’s building several units now per week with smokers being used by competition teams and restaurants all around the world. [spp-timestamp time=”5:10″] Randall’s world is pretty much BBQ 24×7 these days. 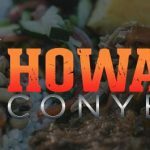 He sits on two KCBS committees, he’s organizing seven events for 2017, including the National BBQ Cup as well as the World Food Championships. 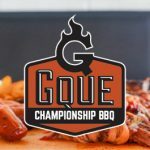 [spp-timestamp time=”9:59″] “It ain’t just about the ‘cue!” We talk about the A+ game many of the competitive BBQ pitmasters bring to some of the non-BBQ events at the World Food Championships. Many times, they are finishing better than some well-established culinary specialists. Chad Ward, Donny Bray, Luke Darnell, as well as WFC Final Champs for 2016 – Bryan and Kari Luke get some love here! Wow. As you can tell, this conversation with Randall Bowman of Deep South Smokers is one of the more detailed and informative posted here on the site to date. I really appreciate the time Randall spent talking with me. Please reach out to him and let him know if you appreciated the information he shared with us here! 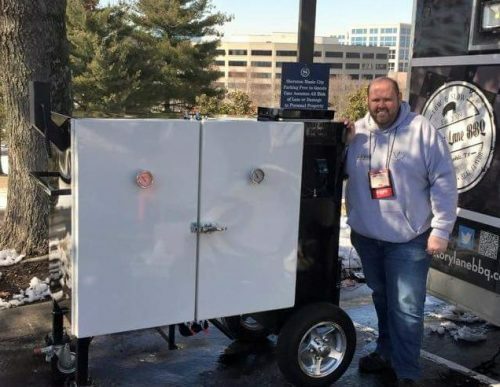 Be sure to get in touch with him if you’re in the market for an amazingly well-built and well-supported smoker! 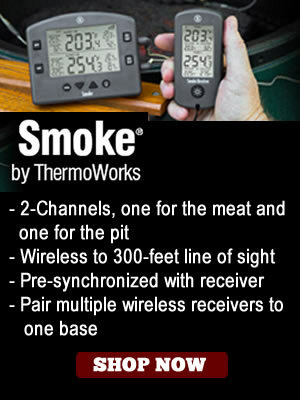 Contact Randall at Deep South Smokers! 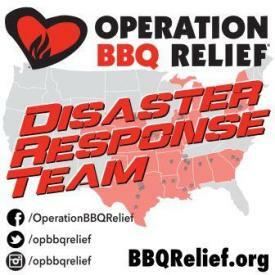 Use any of the links below to contact Randall Bowman about Deep South Smokers. Alternatively, you can call him up directly at (770) 886-6290 or email him at deepsouthsmokers@hotmail.com. Subscribe to the BBQ Beat Podcast! If you enjoyed this session, please share it with friends! Of course, to be sure you don’t miss another episode, please subscribe via iTunes or your favorite Android podcast player! Simply click one of the buttons below!